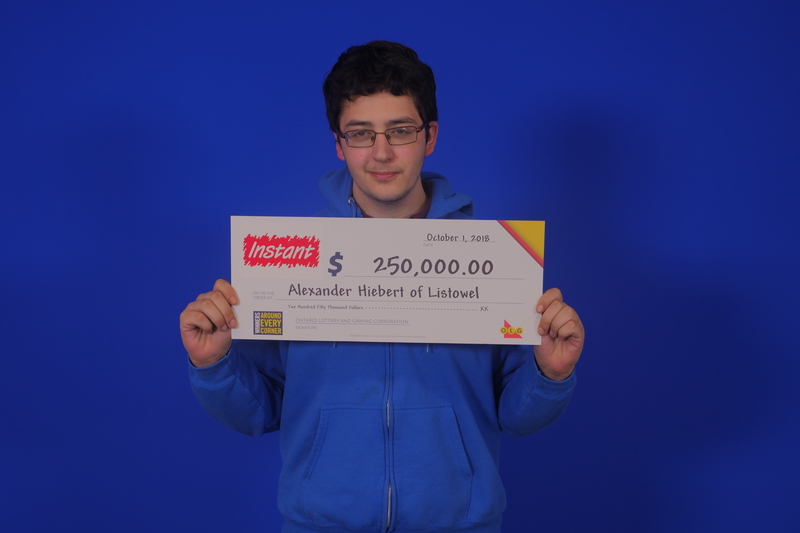 Listowel man claims top prize in OLG game. Photo supplied by OLG. 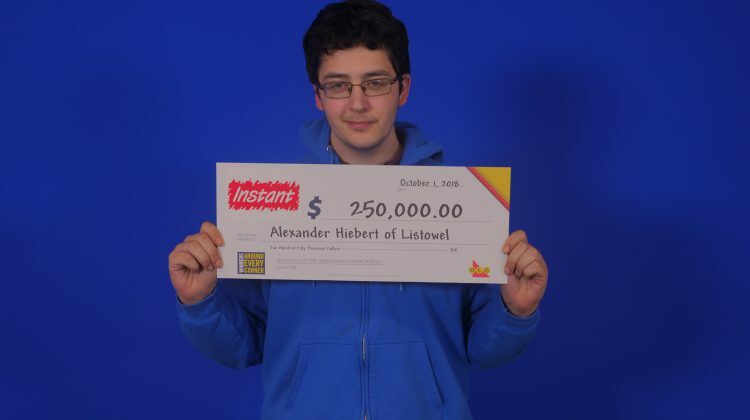 A Listowel man is $250 thousand dollars richer thanks to an OLG game. 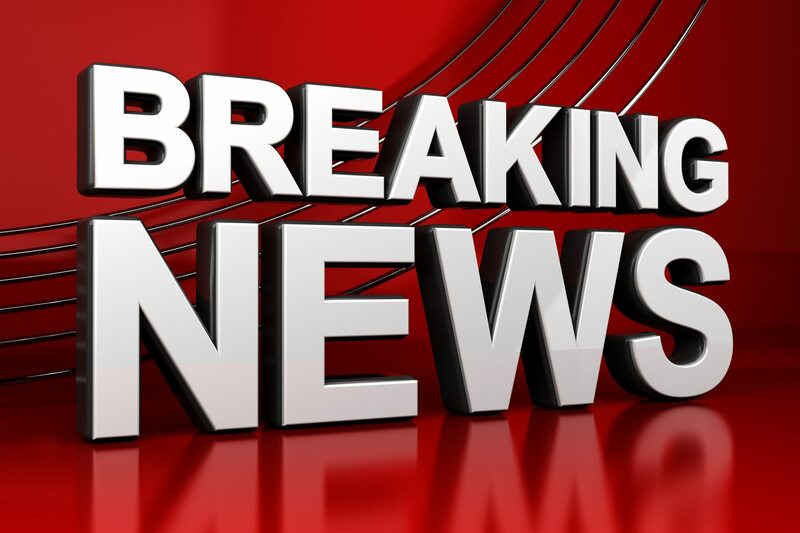 Alexander Hiebert claimed the top prize in the Instant XTreme Green game which is available for $10 a play. The odds of winning any prize one in three. The winning ticket was purchased at Petro Canada on Main Street in Listowel.